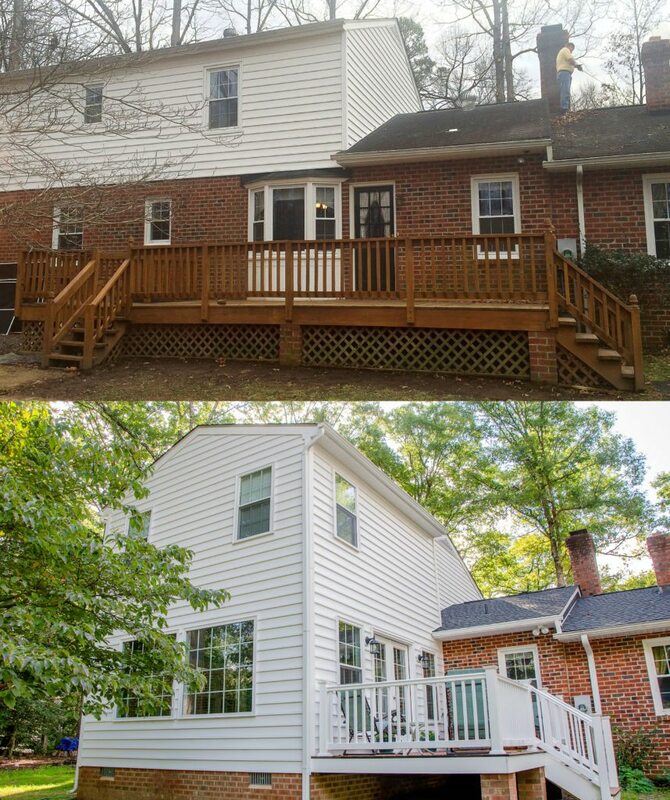 Balducci Additions and Remodeling recently completed this two-story home addition in Mechanicsville, VA. The clients love to garden and dreamed of a space where they could enjoy their backyard throughout the year. 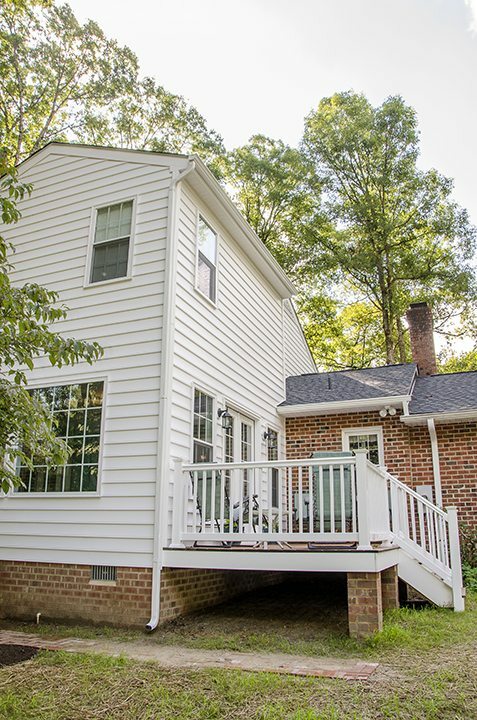 The project included a two-story home addition off of the back of the home. The addition added on just over 500 square feet of living space from the first and second floors. 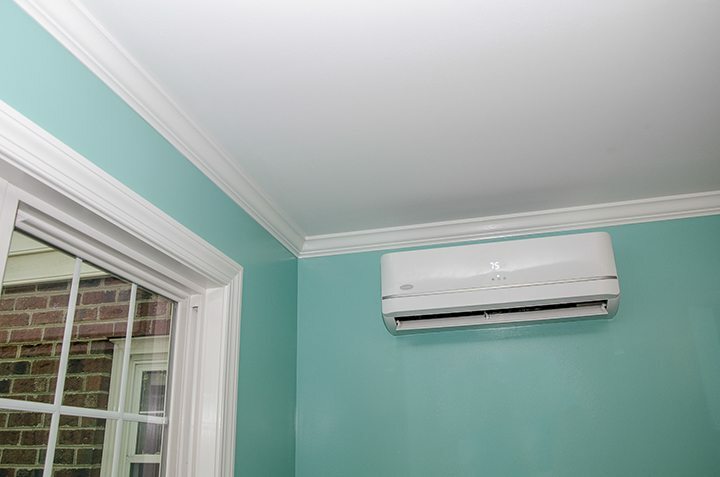 Our company also installed two Carrier mini-split systems in the addition to provide extra comfort, one upstairs and one downstairs. 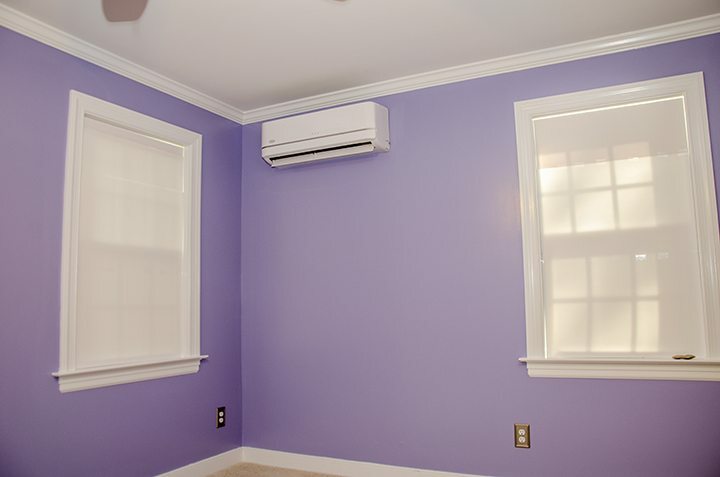 Mini-split systems, sometimes referred to as split systems or split-ductless systems, are a great option for additions since they provide a cost-effective way to provide heating and cooling. The mini-split system comes with its own thermostat. Thus, you can save money by turning off the mini-split’s thermostat in the space if it isn’t occupied, while still keeping the AC on in the rest of the home. 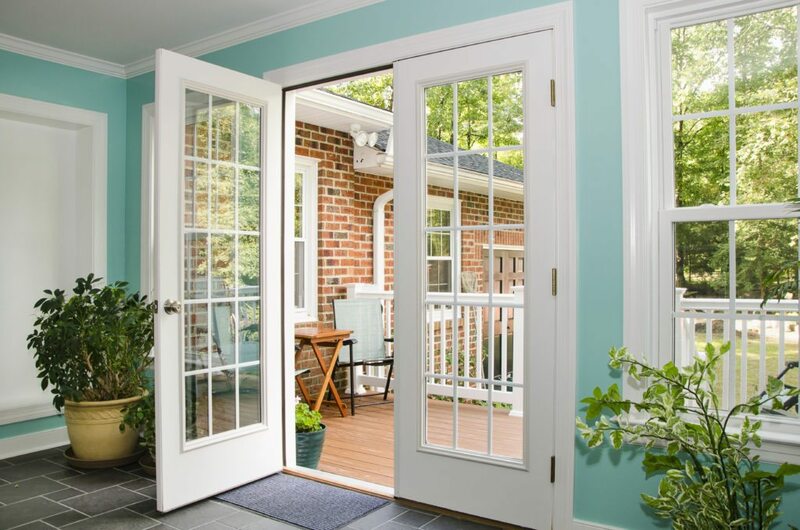 A pair of French doors off of the kitchen leads to the first floor of the addition, which includes a bright sunroom. 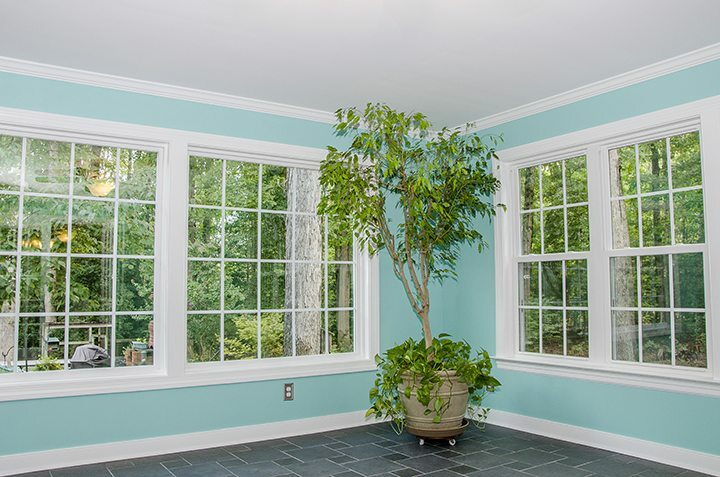 The sunroom features windows on the three main walls. We incorporated picture windows on the wall that faces the backyard to allow for a less obstructed view. 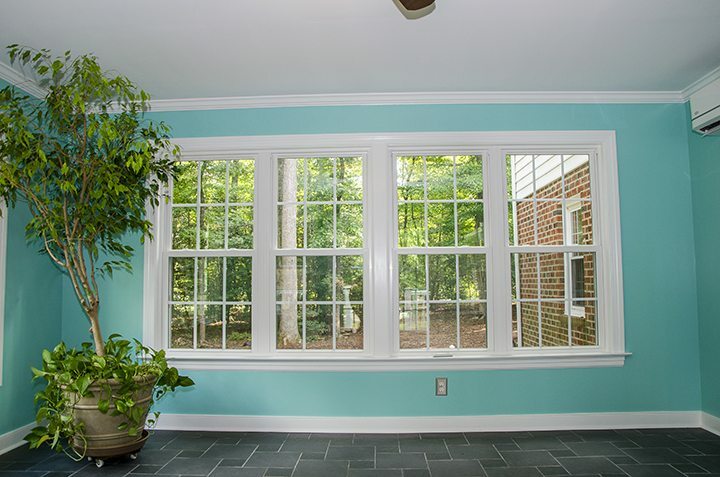 The side walls house single hung windows, that can allow for fresh air to come in. The second floor of the addition features a spare bedroom and walk-in closet. Right off of the first floor sunroom we installed French doors that lead to a composite deck. 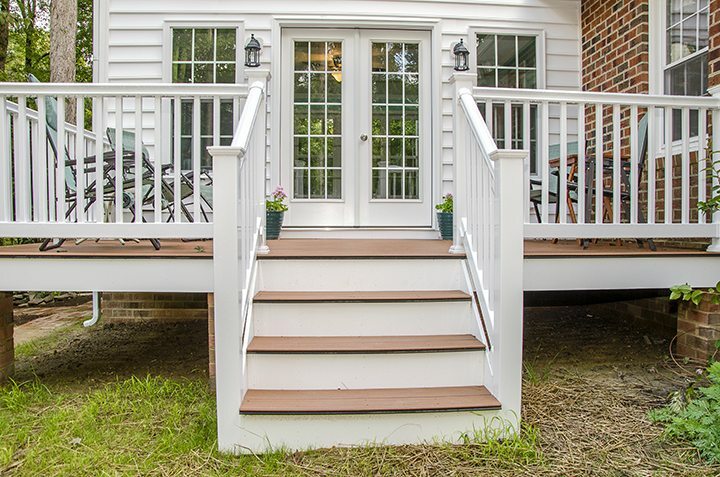 The decking material is Trex Tropics composite decking in the color “Tiki-Torch.” The attached composite deck juts out 8 feet and provides the perfect place for a morning cup of coffee or simply a place to enjoy the views. To see more photos of this beautiful home addition, please visit our Houzz page.